Mary Poppins, the unflappable nanny of the Banks children, is back again! 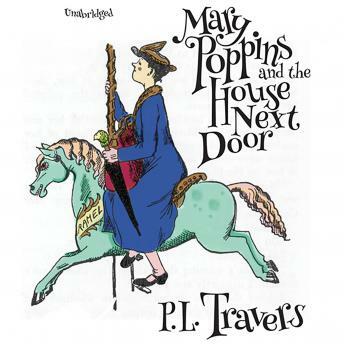 It is a day like any other for Mary Poppins and the Banks family in Number Seventeen Cherry Tree Lane—until a telegram arrives with the momentous news that Miss Andrews, the Holy Terror, is coming to live in the house next door. The house has always been empty and so has become the treasure of Cherry Tree Lane—each neighbor has filled it with personal dreams. But now peace in the lane is gravely threatened. Can Mary Poppins, in her own magical, whimsical way, resolve the crisis?